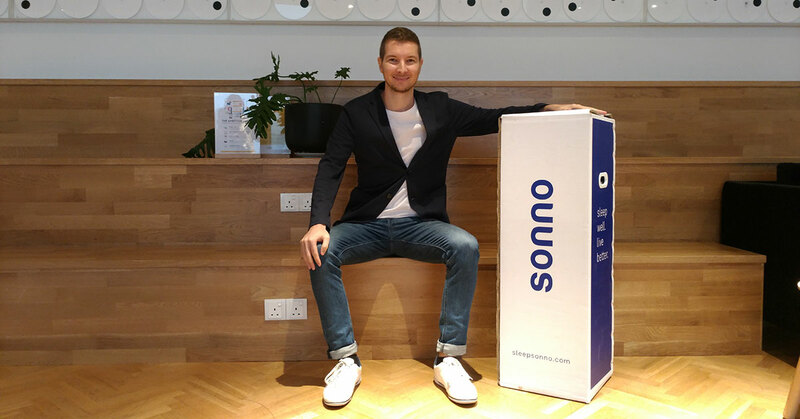 Sonno is a mattress brand based in Malaysia that lets users try out mattresses for 100 nights before deciding whether to make a purchase. Boasting an Italian-design, their mattresses are made in China and feature premium materials such as latex and memory foam. Stand-out features include movement dissipation technology and construction that omits spring coils. All mattresses come in a compact box and will inflate upon unwrapping. Prices start begin at RM1,799 for single sizes, and go up to RM3,199 for king sized mattresses. For all the talk of healthy living, it’s still surprising how little emphasis is placed on quality sleep. After all, we spend a third of our lives in slumber, and in that time our bodies take the much needed opportunity to repair, recuperate, and ready ourselves for the activities of the next day. Which is why everyone needs a good mattress on which to rest. But for most, the process of picking out a good mattress requires individuals to go through the hassle of visiting a store, and making their final decision after only trying out each mattress for a handful of minutes. And all this without considering the fact that these mattresses can cost a pretty penny. 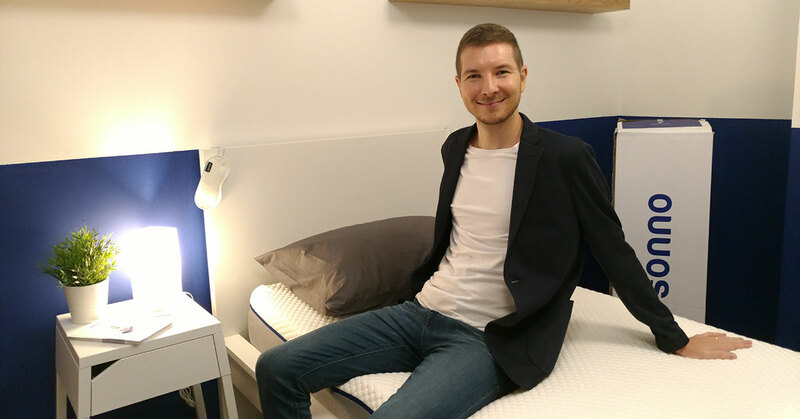 Aiming to provide a better alternative to that process, Malaysian-based Italian native Fabio Miceli founded mattress brand Sonno (which translates to sleep in Italian) in November 2017 with the unique proposition of letting customers try out a premium product before actually committing to its purchase. Designed in Italy and manufactured in China, Sonno’s mattresses incorporate materials such as latex and memory foam, and promise to provide premium sleep at competitive prices. 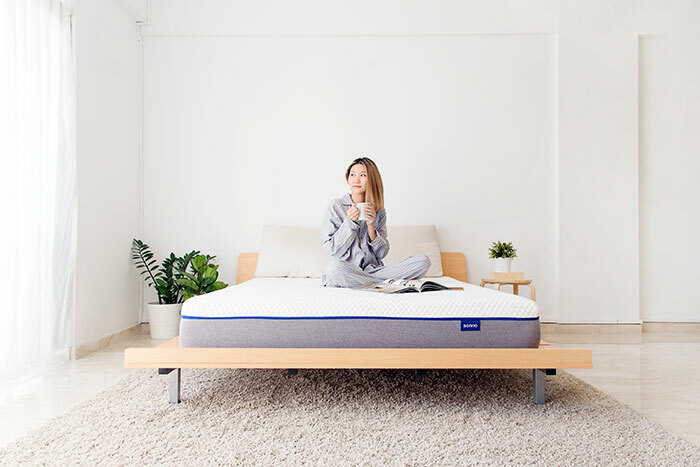 Among the features boasted by Sonno’s mattresses is the ability to dissipate motion—allowing couples to sleep peacefully without being woken by each others’ movement—and lack spring coils. Leveraging on the speed and efficiency that e-commerce provides, Sonno adopts the try-first-buy-later model that has become popular with brands such as Casper and Tuft & Needle in the United States. Those in the market for a new mattress can order one from Sonno’s website, get it delivered for free, and then use it for a period for 100 nights before deciding on whether to keep it. If unconvinced by the product, Sonno will arrange to have the mattress picked up for no additional cost. A single mattress starts at RM1,799 and a queen at RM2,699 and a king costs RM3,199. “In doing all these, we sell directly to the consumer. We’re fully online, and we cut out the middle man,” he explained. While the concept of letting consumers try a product for free may seem risky, Fabio has enough confidence that his model has all the right ingredients to do well in the long run. Fabio went on to detail some the reasons he thinks Sonno can do well in the local market, including the huge opportunity for mattresses in Malaysia. Fabio then explained how Sonno’s business model fit in perfectly with these conditions, and noted how it does better than the traditional methods of buying a mattress. And so far, this method has been working out for Sonno quite well. Within six months of being operational, Sonno’s revenue has hit six figures, with their goal to hit RM1 million by the end of 2018 looking quite probable. Speaking on the challenges of growing his business, Fabio touched upon the subject of trustworthiness. In this respect, Sonno is targeting the younger tech-savvy crowd—the ones who are always on the internet, and who are active on social media—and is using channels such as Facebook, Instagram, as well as getting social media influencers as a medium to get recognition. And in addition to these techniques, Sonno is also partnering with co-working spaces—starting with Common Ground—to let people try out their mattresses in sleep pods for 45-minute intervals. Discussing future plans, Fabio says that Sonno hopes to begin entering new markets within the coming years. Additionally, Fabio also aims to keep improving on his product, and will continue to work with Sonno’s design team as well as manufacturers to stay relevant within their markets. “This is all part of a company’s growth, you can’t expect a product to last forever,” he said. For more information about Sonno, check out their website or Facebook page.